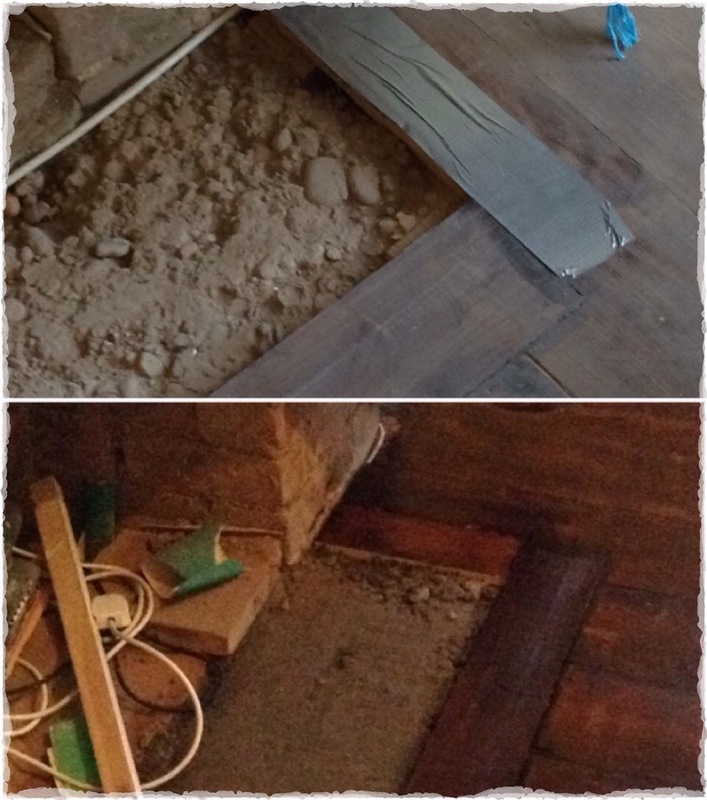 We have got quite a lot done this weekend, including a few things of the snagging list…tick! We had a couple of gas engineers come to quote on fitting the new fire. Normally our quotes are pretty close, but in this instance one was almost double the other…hmm. We ordered a made to measure hearth of black marble, it should be around a week. In preparation for its arrival Ronnie got rid of some of the old bricks from the base of fire and laid a new cement bed. Meanwhile, I got on to waxing the fireplace. I used fine wire wool to apply clear beeswax and buffed with the orbital sander. It’s come up a lovely honey colour but needs a lot more work to look it’s best. 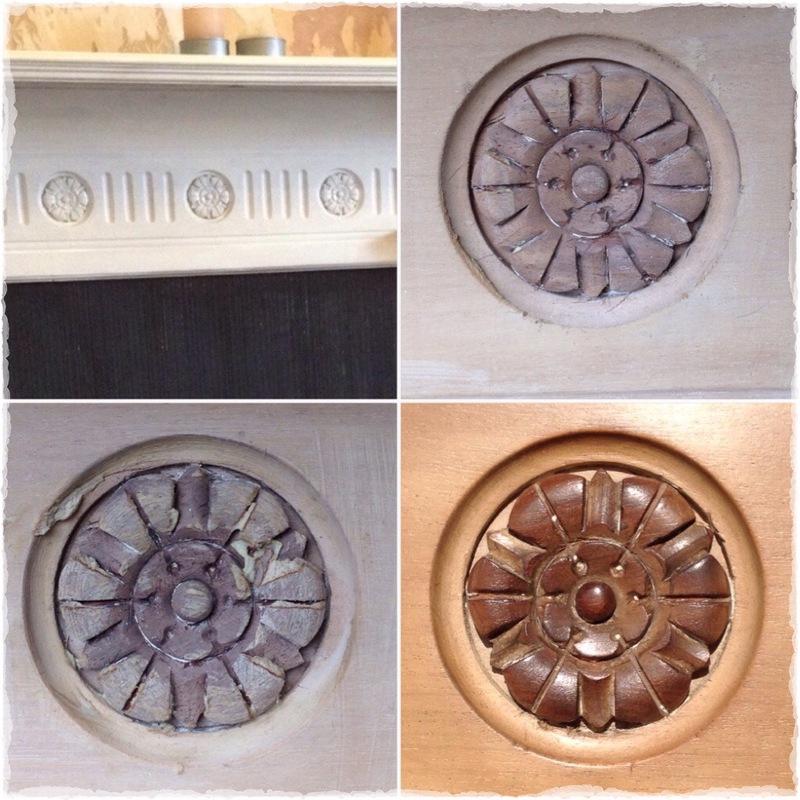 This image shows the carved roses painted, stripped, waxed and polished. The polishing has really highlighted the difference in colour of the inlaid wood. 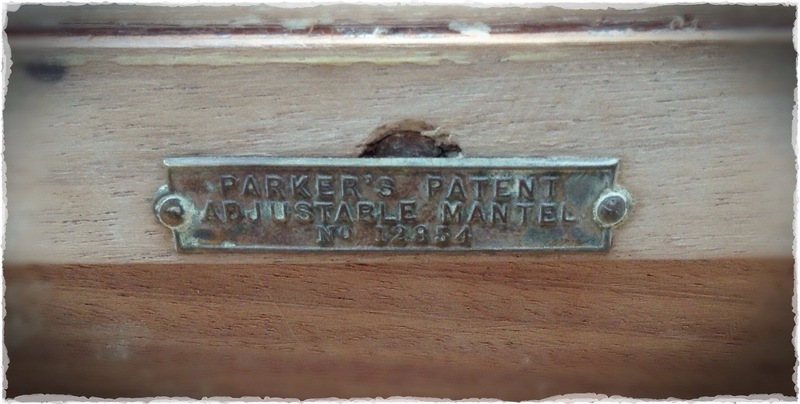 While the mantel was laid flat I was able to clearly see the makers plaque which first allowed us to discover a little of it’s history. 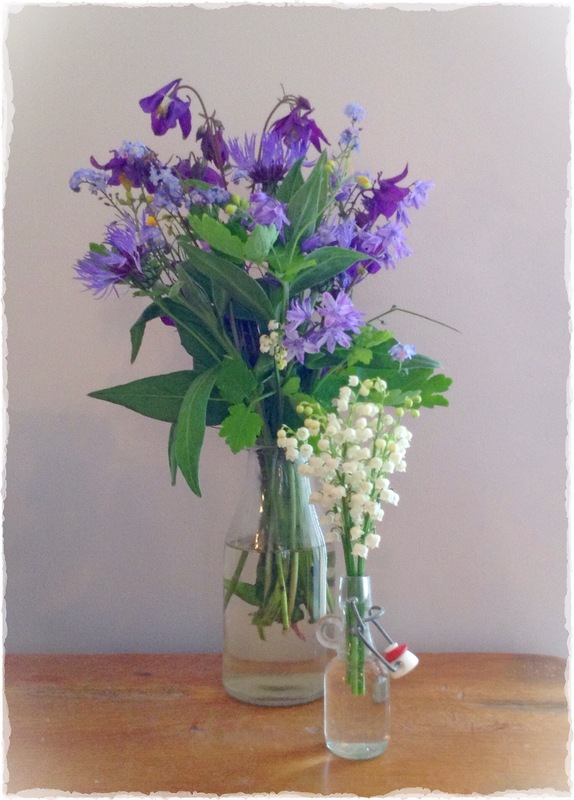 I picked a few flowers whilst I was outdoors and tried to avert my eyes from the rapidly thickening jungle of a garden. 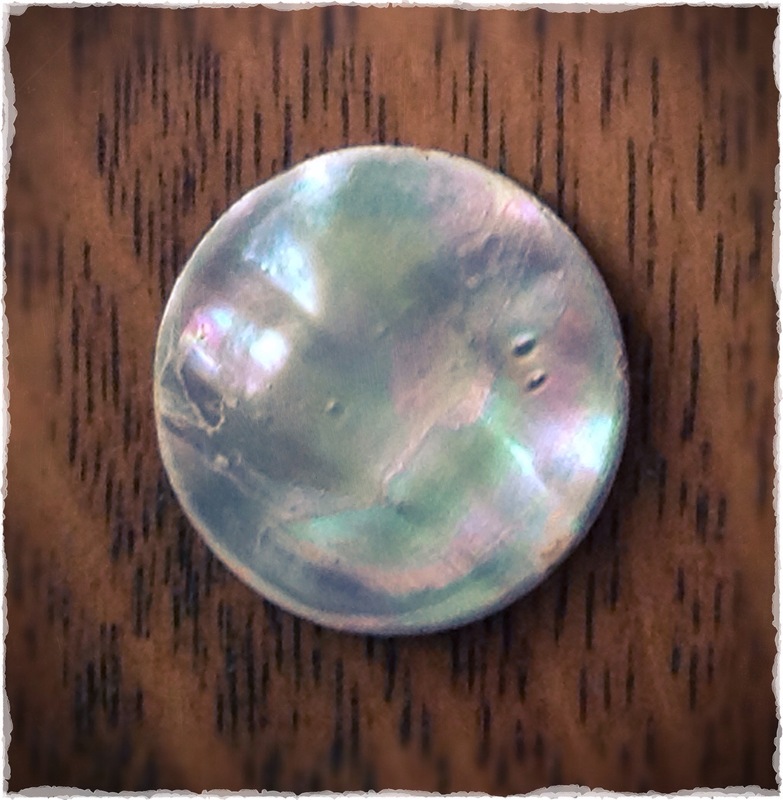 Oh, and I dug up some mother of petal buttons, about 40mm diameter. I’ll have to use them in a project some time. 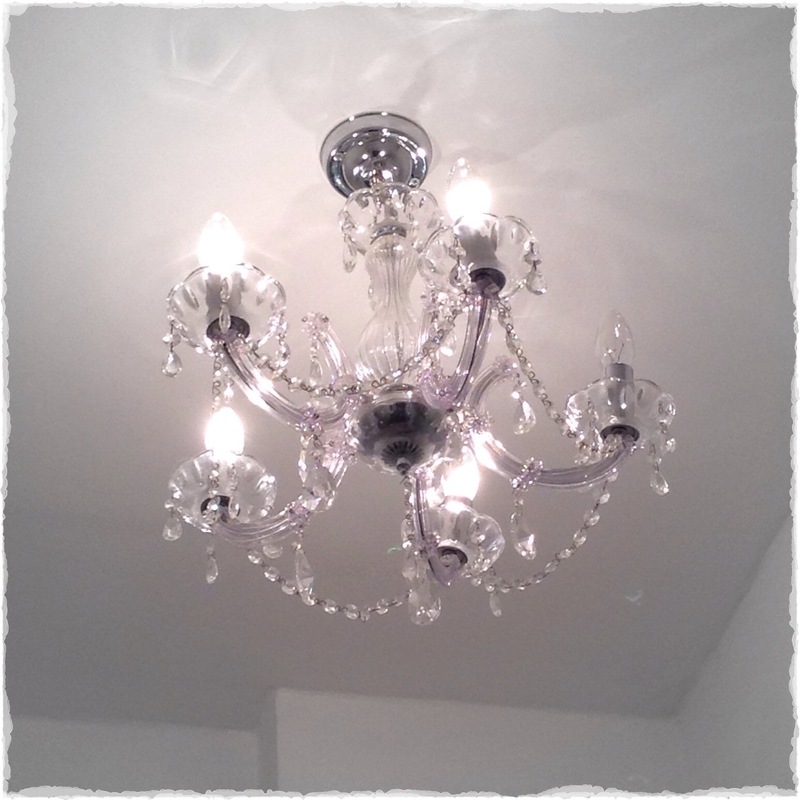 Back indoors, we fitted the chandelier in the cloakroom. This came from the bedroom in my cottage. There has been comments that the light be a little ‘overstated’ for the smallest room in the house, thing is, I like overstated! We also got the floor sealed at last. In the kitchen Ronnie made a trim to cover the gaps between the extractor fan and the ceiling, it needs a final coat of paint and masking removed but looks better already. It’s so satisfying concluding jobs like this. Meanwhile, I sanded the lounge boards again and gave them their final coat of colour. They now need varnishing. 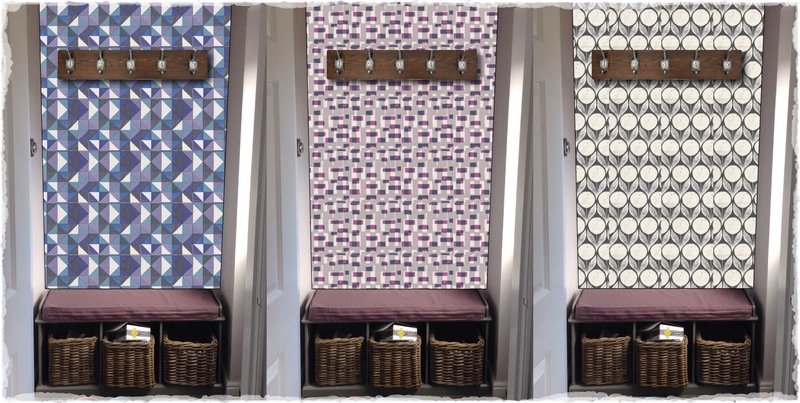 To help the decision, I roughly visualised what the shortlist might look like… I love the black and white print on the right, but as the wall is going to accommodate our main coat hook, I’m worried it will soon look dirty, so in conclusion, I’m going with the one on the left from Brian Yates…almost probably certainly. 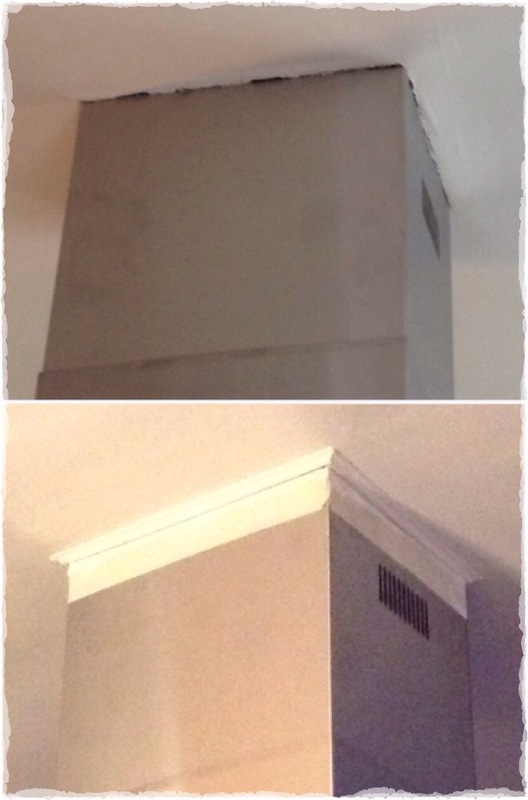 This entry was posted in Boot Room, Cloakroom, Lounge, Outdoors and tagged brian yates, chandelier, fireplace restoation, wall paper by ladylansdowne. Bookmark the permalink. You’re on a roll! Can’t wait to see what the boot room looks like with that fun paper. The lounge floor and those rosettes on the mantel are looking good!. 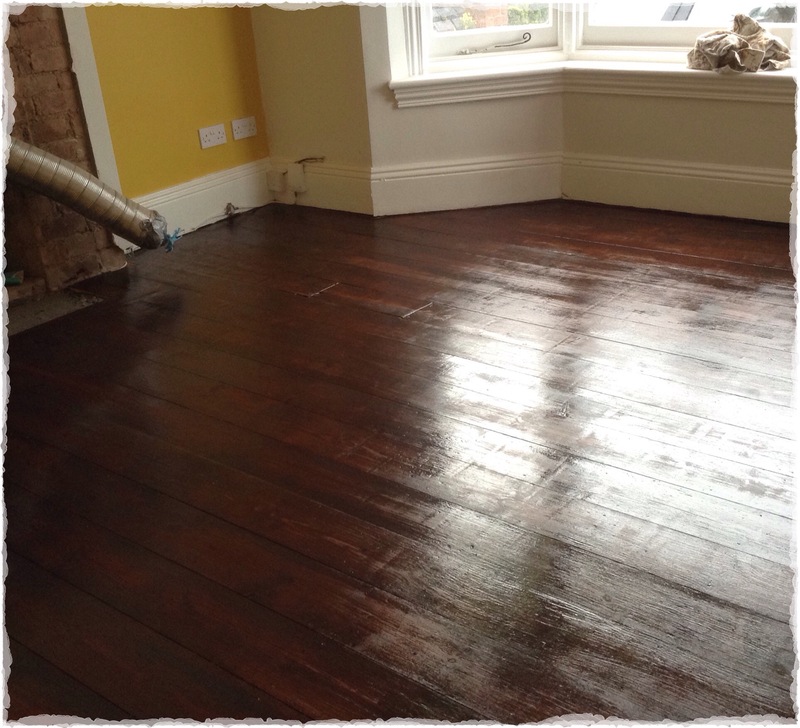 Hopefully on a roll… Varnished the lounge floor this eve? Let’s see how long this sudden burst of enthusiasm lasts! Quite the accomplishments this weekend! I love checking things off the list don’t you? I loveeee the black and white wall paper but I do see your point on it getting dirty, I think with the pattern though it might be ok and you won’t notice it as much. Keep up the great work! Hey, sure do…but for every tick a dozen more jobs seem to appear at the bottom of the list?! 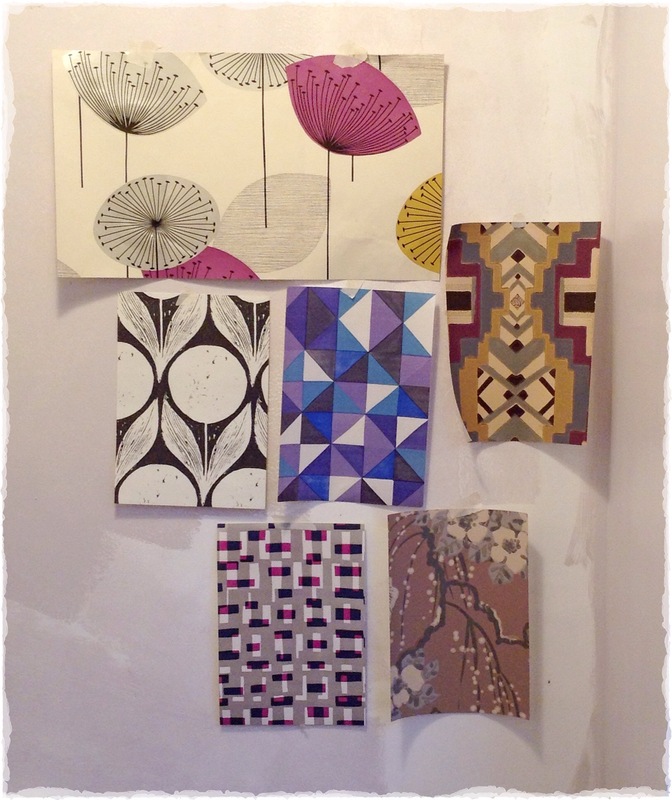 Yes the black and white is lovely… I’ve gone for the triangle, need a splash of colour! I’ll prob change my mind when it arrives…no wonder we don’t get much done! Yea doesn’t that always happen?! Oo nice choice as well, we defiantly all need color in our lives! Hehe that’s ok that would’ve been my second choice!! Hehe don’t worry I’m exsactly the same way! I LOVE the wallpaper you’ve chosen!!! Thanks… Wish it would hurry up and arrive so it can go up!